For other uses, see 2012–13 Premier League (disambiguation). The 2012–13 Premier League (known as the Barclays Premier League for sponsorship reasons) was the 21st season of the Premier League, the English professional league for association football clubs, since its establishment in 1992. The fixture schedule was released on 18 June 2012. The season began on 18 August 2012 and ended on 19 May 2013. On 22 April 2013, Manchester United won their 13th Premier League title and 20th English title overall by defeating Aston Villa 3–0 at Old Trafford. This left reigning champions Manchester City 16 points behind with only 15 left to play for. It was the first time the title had been decided in April since Chelsea were the winners in 2005–06. It was also only the fourth time in the history of the Premier League that it had been won with at least four games remaining in the season, the last time being in 2003–04 when Arsenal were champions. England national football team manager, Roy Hodgson declared that United's manager, Sir Alex Ferguson, was a "magician" having won 13 titles in 21 seasons. 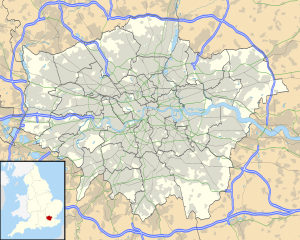 On 28 April 2013, Queens Park Rangers and Reading were both relegated from the Premier League after a 0–0 draw against each other. Wigan Athletic were the third and final club to be relegated, after a 4–1 defeat to Arsenal on 14 May 2013. This brought an end to their eight-year stay in the Premier League, and came 3 days after winning the season's FA Cup. 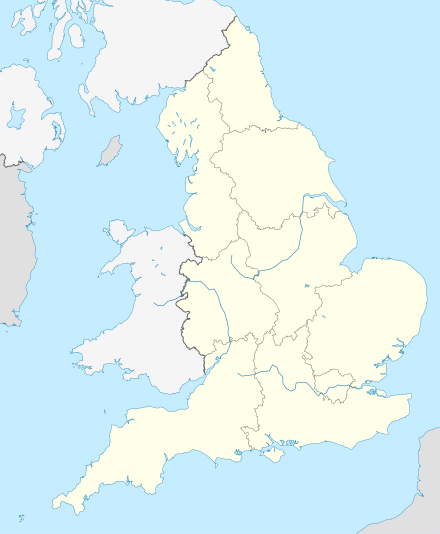 This made them the first ever club to win the FA Cup and suffer relegation in the same season. The season opened the weekend of 18 August 2012. Defending champions Manchester City opened their season with a narrow 3–2 victory over Southampton, who had just been promoted back to the Premier League after seven seasons in lower divisions. Man City had taken a 1–0 lead, with Southampton turning it on its head to go 2–1 up with 20 minutes remaining. City eventually came back and Samir Nasri scored the winning goal with ten minutes left. In a Monday evening fixture at Goodison Park, Manchester United started their season with a 1–0 loss to Everton, the goal scored by Marouane Fellaini. The first goal of the season, however, was scored by Swansea City's Michu, whose team thrashed Queens Park Rangers 5–0 away from home. Manchester United recovered from their opening week loss with a 3–2 win over Fulham in their opening home game at Old Trafford, but lost striker Wayne Rooney to injury during the match. Other second week highlights included Chelsea's 2–0 win over Newcastle United, with recent Belgian signing Eden Hazard involved in both goals. Early leaders Chelsea had week three off, while a win by Manchester City over Queens Park Rangers left the defending champions two points off the pace. The game was a highly anticipated rematch between the two teams that squared off on the final day of the 2011–12 season, when Manchester City snatched the title on goal difference with a late goal by Sergio Agüero. This time though, it was less exciting, with Manchester City comfortably winning 3–1. Level on points with Manchester City in second place were Swansea City, who registered a 2–2 draw with Sunderland, and West Bromwich Albion, who defeated Everton 2–0. The fourth week of the season began with controversy, as the Chelsea v Queens Park Rangers match was fraught with racial tensions when QPR's Anton Ferdinand refused to shake hands with Chelsea's John Terry, who had been suspended for four games for using racial epithets against Ferdinand during the previous season. The teams would play out a 0–0 draw, however second place Manchester City could not gain ground as they also drew, with Stoke City. Week five saw Chelsea extend their league lead to 3 points with a 1–0 win over Stoke City. A late goal in the 85th minute by Ashley Cole secured the win for the Blues. Everton and West Bromwich Albion maintained control of second place, with both teams notching a win in week five, though a draw by the Baggies in week six would drop them back to fifth place, which they would share with Tottenham Hotspur following their surprise 3–2 win over Manchester United at Old Trafford. Chelsea, Everton, and Manchester City would all win in week six. The results table after six games would have Chelsea in the lead with 16 points, followed by Everton and Manchester City with 13 points each, and Manchester United with 12. At the bottom of the league, Liverpool forward Luis Suárez scored a hat trick against Norwich City, leading Liverpool to a 5–2 victory. It was the second consecutive year that Suárez had scored a hat trick at Carrow Road. The month of October saw a tightening at the top of the standings, with Chelsea, Manchester United and Manchester City all winning their first two of three games for the month, setting up a vital Sunday afternoon match at Stamford Bridge between third placed Manchester United and the leaders Chelsea. The game did not disappoint, as Chelsea went down 2–0 early on an own goal by David Luiz in the fourth minute and a goal by Robin van Persie in the 12th. Van Persie had also taken the shot that had rebounded off of Luiz, and thus was ultimately responsible for the Red Devil's one-goal lead at half-time, following a late first half goal by Chelsea's Juan Mata from a free kick. Eight minutes into the second half Ramires equalised for Chelsea, and in the 75th minute United's Javier Hernández scored what proved to be the deciding goal via a rebound from a missed Van Persie shot. Replays showed that Hernández was in an offside position, generating a great deal of controversy. After the game, only a single point separated leaders Chelsea from second placed Manchester United. The rest of the standings were tightly packed in mid-table as 4 points separated fourth through ninth place. Another key match in October included a fixture between Liverpool and Reading, with Liverpool winning 1–0 (with winger Raheem Sterling scoring his first goal for the club) and giving manager Brendan Rodgers his first win over Reading, a team he formerly managed. The final week of October featured the longest match in the 20-year history of the Premier League, a 103-minute game between Manchester City and Swansea that featured two serious injuries, one to the groin of Swansea keeper Michel Vorm and the other to the knee of Manchester City back Micah Richards, both of which required stretchers to carry them off. City prevailed 1–0 in the marathon event with a goal from Carlos Tevez. League leaders Chelsea suffered a dip in form in November. They opened the month with draws against Swansea City and Liverpool, dropping them to third in the standings. A loss to West Bromwich Albion on 17 November was marked by ineffective second half play, as the team was unable to capitalise on a late first half equaliser by Eden Hazard. The Blues closed out the month with uninspiring 0–0 draws against Manchester City and Fulham. The primary beneficiaries of Chelsea's slide were Manchester United and Manchester City, as the two rivals moved into commanding control of the first two places in the league table. Key November games included a 2–1 Manchester United win over Arsenal on 3 November, and a dominating 5–0 win by Manchester City over Aston Villa on 17 November marked by a pair of two-goal performances by Carlos Tevez and Sergio Aguero. West Bromwich Albion proved to be the biggest mover up the league table, moving from eighth up to joint third with Chelsea, on the strength of four wins over Southampton, Wigan Athletic, Chelsea, and Sunderland. At the bottom end of the table, Queens Park Rangers found themselves as the only team without a league win by the end of November. The month of December saw minimal change in the standings at the top end of the table. The situation by New Year's Eve with the top three places was the same as it was at the start of the month, though Manchester United had extended their lead over second place Manchester City to seven points, with Chelsea four points back from City in third place. Tottenham Hotspur occupied fourth place with Arsenal, Everton, and West Bromwich Albion all tied for fifth. Chelsea stopped their November slide with a 3–1 win at Sunderland on 8 December on the strength of two goals by Fernando Torres. The Manchester derby was renewed on 9 December at the City of Manchester Stadium with first place on the line. United took a two-goal lead thanks to two goals from Wayne Rooney in the 16th and 30th minute. City responded with a Yaya Touré goal in the 60th minute, a goal that followed two saves in rapid succession by United keeper David de Gea. Pablo Zabaleta equalised in the 86th minute, but Robin van Persie once again proved to be the hero for United, scoring the winning goal two minutes into extra time to extend United's lead over City at the top of the table to six points. The last team without a league win, Queens Park Rangers, finally got their first win of the season on 15 December. Twenty teams competed in the league – the top seventeen teams from the previous season and the three teams promoted from the Championship. The promoted teams were Reading (returning after a four-year absence), Southampton (returning after a seven-year absence) and West Ham United (returning after a season's absence). They replaced Bolton Wanderers, Blackburn Rovers (both teams relegated after eleven years in the top flight) and Wolverhampton Wanderers (ending their three-year top flight spell). Additionally, referee kits are now being sponsored by Expedia.com, and Nike has a new match ball, the Maxim Premier League. ^ Wigan Athletic qualified for the Europa League group stage as the 2012–13 FA Cup winners. ^ Swansea City qualified for the Europa League third qualifying round as the 2012–13 Football League Cup winners. Manchester United manager Sir Alex Ferguson, 71, received the Premier League Manager of the Season. It was his 11th win, awarded in the final season of his managerial career. The Premier League Player of the Season was awarded to Gareth Bale. The PFA Players' Player of the Year was awarded to Gareth Bale. The PFA Young Player of the Year was also awarded to Gareth Bale. The FWA Footballer of the Year was also awarded to Gareth Bale. The Premier League Golden Glove award was won by Joe Hart of Manchester City. Arsenal won the Premier League Fair Play Award after finishing the 2012–13 Premier League top of the Fair Play Table. The award for best behaved fans went to Norwich for the second year running. The Premier League Merit Award was awarded to Sir Alex Ferguson. ^ a b "Barclays Premier League Stats: Top Goal Scorers – 2012–13". ESPN Soccernet. Entertainment and Sports Programming Network (ESPN). Retrieved 25 August 2012. ^ a b c d e f g h i "Barclays Premier League Stats – 2012–13". ESPN Soccernet. Entertainment and Sports Programming Network (ESPN). Retrieved 18 August 2012. ^ "Fixtures out on Monday". manutd.com. 16 June 2012. Retrieved 17 June 2012. ^ a b "When does the 2012/13 season start?". premierleague.com. Premier League. 8 May 2012. Archived from the original on 19 April 2012. Retrieved 15 May 2012. ^ Jackson, Jamie (22 April 2013). "Sir Alex Ferguson hails Robin van Persie's 'goal of the century'". Guardian UK. London. Retrieved 23 April 2013. ^ Samuel, Martin (22 April 2013). "Man United 3 Aston Villa 0". Daily Mail. London. Retrieved 23 April 2013. ^ Shergold, Adam (22 April 2013). "The Champions by Numbers: How does Man United's 20th league title success compare to the others?". Daily Mail. London. Retrieved 23 April 2013. ^ "Sir Alex Ferguson is a magician, says England boss Roy Hodgson". BBC Sport. 23 April 2013. Retrieved 23 April 2013. ^ "Reading 0–0 QPR". BBC Sport. 28 April 2013. Retrieved 28 April 2013. ^ "Arsenal 4–1 Wigan". BBC Sport. 14 May 2013. Retrieved 14 May 2013. ^ "Fixture: Man City vs. Southampton". Premier League official website. 19 August 2012. Retrieved 23 April 2013. ^ "Fixture: Everton vs. Manchester United". 20 August 2012. ^ a b "Michu scores the first goal of the 2012/13 Premier League season". ITV Sport. Independent Television (ITV). 18 August 2012. Archived from the original on 22 August 2012. Retrieved 5 November 2012. ^ Miller, Nick; Ames, Nick; Butler, Michael (10 August 2017). "The Joy of Six: Premier League opening-day debuts". The Guardian. Guardian Media Group. Retrieved 11 August 2017. ^ "Fixture: Manchster United vs. Fulham". 25 August 2012. ^ "Fixture: Chelsea vs. Newcastle". 25 August 2012. ^ "Hazard fires for Blues, RVP scores". espnfc.com. 25 August 2012. Retrieved 23 April 2013. ^ "City see off QPR". espnfc.com. 1 September 2012. Retrieved 24 April 2013. ^ "Premier League mandates handshake". espnfc.com. 14 September 2012. Retrieved 24 April 2013. ^ "Stoke deny City". espnfc.com. 14 September 2012. Retrieved 24 April 2013. ^ "Fixture: Chelsea vs. Stoke". 22 September 2012. ^ "Spurs stun United, Chelsea sink Arsenal". espn.co.uk. 29 September 2012. Retrieved 24 April 2013. ^ "Fixture: Chelsea vs. Man Utd". 28 October 2012. Retrieved 23 April 2013. ^ "Liverpool's Raheem Sterling scores winner". espnfc.com. 20 October 2012. Retrieved 24 April 2013. ^ "Tevez piledriver silences Manchester City critics". espn.co.uk. 27 October 2013. Retrieved 24 April 2013. ^ "Fixture: Man City vs. Swansea". 27 October 2012. Retrieved 23 April 2013. ^ "Fixture: West Brom vs. Chelsea". 17 November 2012. Retrieved 24 April 2013. ^ "Fixture: Man Utd vs. Arsenal". 3 November 2012. Retrieved 24 April 2013. ^ "Fixture: Man City vs. Aston Villa". 3 November 2012. Retrieved 24 April 2013. ^ "Fixture: Sunderland vs. Chelsea". 8 December 2012. Retrieved 24 April 2013. ^ "Fixture: Man City vs. Man Utd Villa". 9 December 2012. Retrieved 24 April 2013. ^ "Barclays Premier League End of season Run-in". Football365.com. Archived from the original on 21 February 2013. Retrieved 27 April 2012. "npower Football League Championship End of season Run-in". Football365.com. Archived from the original on 24 February 2013. Retrieved 27 April 2012. ^ "Premier League – Handbook Season 2012/13" (PDF). Premier League. Archived from the original (PDF) on 14 March 2013. Retrieved 17 August 2012. ^ "Roy Hodgson named England Manager". The FA. Retrieved 18 May 2012. ^ "Steve Clarke named West Brom head coach after Liverpool exit". BBC Sport. British Broadcasting Corporation. 8 June 2012. Retrieved 8 June 2012. ^ "Alex McLeish sacked as Aston Villa manager". BBC Sport. Retrieved 18 May 2012. ^ a b "Paul Lambert confirmed as Aston Villa manager". Aston Villa. 2 June 2012. Archived from the original on 3 June 2012. ^ "Kenny Dalglish sacked as Liverpool manager". BBC Sport. British Broadcasting Corporation. 16 May 2012. ^ a b "Liverpool manager Brendan Rodgers to 'fight for his life'". BBC Sport. British Broadcasting Corporation. 1 June 2012. ^ "Swansea name Laudrup as manager". Premierleague.com. Premier League Official Site. 15 June 2012. Archived from the original on 16 June 2012. ^ "Chris Hughton appointed as new Norwich Manager'". BBC Sport. British Broadcasting Corporation. 7 June 2012. ^ "Tottenham Hotspur sack manager Harry Redknapp". BBC Sport. Retrieved 13 June 2012. ^ "Tottenham Hotspur appoints Andre Villas-Boas as new head coach". Tottenham. 3 July 2012. ^ "Chelsea sack Roberto Di Matteo after Champions League defeat". BBC Sport. Retrieved 21 November 2012. ^ "Rafael Benitez replaces Roberto Di Matteo as Chelsea manager". BBC Sport. 21 November 2012. Retrieved 22 November 2012. ^ "Mark Hughes sacked as Queens Park Rangers manager". BBC Sport. 23 November 2012. Retrieved 24 December 2012. ^ "Harry Redknapp takes over as manager". BBC Sport. 24 November 2012. Retrieved 24 December 2012. ^ a b "Nigel Adkins sacked, Mauricio Pochettino in". BBC Sport. British Broadcasting Corporation. 18 January 2013. Retrieved 18 January 2013. ^ "Brian McDermott leaves position as Reading manager". BBC Sport. Retrieved 30 March 2013. ^ "Nigel Adkins takes over as Reading manager". BBC Sport. 26 March 2013. Retrieved 26 March 2013. ^ "Martin O'Neill: Sunderland 'part company' with manager". BBC Sport. Retrieved 30 March 2013. ^ "Paolo Di Canio appointed Sunderland head coach". BBC Sport. Retrieved 31 March 2013. ^ "Roberto Mancini sacked as Manchester City manager". BBC Sport. Retrieved 13 May 2013. ^ "Manuel Pellegrini: Manchester City appoint Chilean as manager". BBC Sport. Retrieved 14 June 2013. ^ "Premier League Handbook 2012/13" (PDF). Premier League. p. 92–93. Archived from the original (pdf) on 14 March 2013. Retrieved 17 August 2012. ^ Bevan, Chris (4 May 2013). "Queens Park Rangers 0–1 Arsenal". BBC Sport. British Broadcasting Corporation. Retrieved 9 May 2013. ^ Pearce, Jonathan (2 September 2012). "Southampton 2–3 Man Utd". BBC Sport. Retrieved 2 September 2012. ^ Sanghera, Mandeep (29 September 2012). "Norwich 2–5 Liverpool". BBC Sport. Retrieved 29 September 2012. ^ Johnston, Neil (24 November 2012). "Wigan 3–2 Reading". BBC Sport. Retrieved 24 November 2012. ^ McNulty, Phil (17 December 2012). "Reading 5–2 Arsenal". BBC Sport. Retrieved 18 December 2012. ^ Lillywhite, Jamie (26 December 2012). "Aston Villa 0–4 Tottenham Hotspur". BBC Sport. Retrieved 26 December 2012. ^ Ornstein, David (29 December 2012). "Arsenal 7–3 Newcastle". BBC Sport. Retrieved 29 December 2012. ^ Ornstein, David (2 March 2013). "Man Utd 4–0 Norwich". BBC Sport. Retrieved 2 March 2013. ^ Chowdhury, Saj (2 March 2013). "Wigan Athletic 0–4 Liverpool". BBC Sport. Retrieved 4 March 2012. ^ Bevan, Chris (22 April 2013). "Manchester United 0–3 Aston Villa". BBC Sport. Retrieved 22 April 2013. ^ "Aston Villa 6–1 Sunderland". BBC Sport. 29 April 2013. Retrieved 29 April 2013. ^ "Fulham 1–3 Liverpool". BBC Sport. 12 May 2013. Retrieved 12 May 2013. ^ "West Ham 4–2 Reading". BBC Sport. 19 May 2013. ^ "West Bromwich Albion 5–5 Manchester United". BBC Sport. 19 May 2013. ^ a b "Barclays Premier League Stats: Player Discipline – 2012–13". ESPN Soccernet. Entertainment and Sports Programming Network (ESPN). Retrieved 25 August 2012. ^ a b "Barclays Premier League Stats: Team Discipline −2012–13". ESPN Soccernet. Entertainment and Sports Programming Network (ESPN). Retrieved 25 August 2012. ^ "David Moyes named Barclays Manager of the Month". premierleague.com. Premier League. 9 October 2012. Archived from the original on 11 October 2012. Retrieved 9 October 2012. ^ "Juan Mata and Sir Alex Ferguson win October awards". premierleague.com. Premier League. 6 November 2012. Archived from the original on 9 November 2012. Retrieved 6 November 2012. ^ "Marouane Fellaini and Steve Clarke win November awards". premierleague.com. Premier League. 11 December 2012. Archived from the original on 13 December 2012. Retrieved 11 December 2012. ^ "Van Persie and Villas-Boas win December awards". premierleague.com. Premier League. 11 January 2013. Archived from the original on 14 January 2013. Retrieved 11 January 2013. ^ "Reading pride as Le Fondre and McDermott claim January awards". premierleague.com. Premier League. 6 February 2013. Archived from the original on 9 February 2013. Retrieved 6 February 2013. ^ "Spurs double up with Barclays monthly awards". premierleague.com. Premier League. 1 March 2013. Archived from the original on 4 March 2013. Retrieved 1 March 2013. ^ "Vertonghen and Moyes win Barclays awards". premierleague.com. Premier League. 5 April 2013. Archived from the original on 29 July 2013. Retrieved 5 April 2013. ^ "Benitez and Van Persie win Barclays awards". premierleague.com. Premier League. 3 May 2013. Archived from the original on 5 May 2013. Retrieved 3 May 2013. ^ a b "Premier League awards for Sir Alex Ferguson and Gareth Bale". skysports.com. Retrieved 17 May 2013. ^ a b Riach, James (28 April 2013). "Tottenham's Gareth Bale wins PFA player of year award for second time". London: guardian. Retrieved 17 May 2013. ^ Kent, David (28 April 2013). 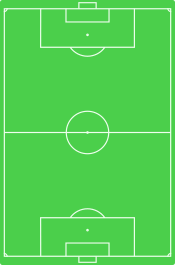 "PFA TEAM OF THE YEAR FOR 2012–13". London: Daily Mail. Retrieved 19 May 2013. ^ "Gareth Bale wins football writers' award to complete the set". London: guardian. 2 May 2013. Retrieved 17 May 2013. ^ "Three in a row for Golden Hart". mcfc.co.uk. Retrieved 18 May 2013. ^ "Sir Alex Ferguson is Barclays Manager of the Season". Manchester United F.C. Retrieved 17 May 2013. Wikimedia Commons has media related to FA Premier League season 2012-2013.